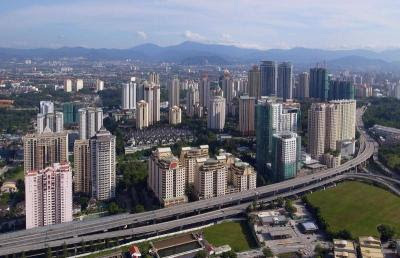 SINGAPORE: A condominium development in Ipoh has been named Malaysia's Best Condominium at a property event here that gathered a host of high-flying professionals and companies from the luxury residential property sector from all over the region. The Haven Lakeside Residencies development was among four Malaysian entries that shone at the annual South-East Asia Property Awards 2012 here on Friday night. The project, developed by The Haven Sdn Bhd and launched in January last year, comprises three luxury condominium towers overlooking a natural lake and scenic limestone hills. An added attraction is a limestone rock said to be 280 million years old and standing about 14 storeys high, according to The Haven Sdn Bhd chief executive officer Peter Chan. The other Malaysian winners at the awards night were Sunway Bhd (Best Malaysian developer), The Residences, Putra Heights, developed by Sime Darby Property Bhd (Best Malaysian villa) and Savills Rahim & Co (Best Malaysian property consultancy). More than 370 guests from around the region including Thailand, Vietnam, the Philippines, Cambodia, Indonesia and host Singapore joined the gala dinner which saw 35 awards given out for various categories, including developer, development, real estate service, architecture and interior design. Jose E.B. Antonio, chief executive officer of Philippines-based Century Properties Group Inc took the coveted Property Report Real Estate Personality of the Year award. Chan, in his acceptance speech on behalf of The Haven Sdn Bhd, said he was happy to receive the award for Ipoh. “It shows Ipoh can win prestigious international awards because the city is truly attractive. “Its potential has not been recognised and has been under-rated for too long. “We hope with this recognition, the awareness of Ipoh will be awakened that Ipoh can produce a condo development that is recognised as the nation's best,” he said, adding that his company had won seven other awards in the past. Over 1,400 nominations were received, with over 300 entries in the hotly contested Best Condominium awards for Malaysia and Singapore. As stratified developments become a way a life, good maintenance and management have become an issue. EARLIER this year, a new set of property managers replaced the previous one in the condominium that Siti lives. Not having a current account, she paid her quarterly management fees in cash. She was told that the receipt would be put in her postbox. It never came and she soon discovered that the property management company had absconded with the money. As stratified developments which include condominiums, service apartments and gated and guarded projects become a way of life, good maintenance and management have become an issue. Good management and maintenance will improve the value of the asset. This applies to all segments of the property market, be it residential, commercial or industrial. 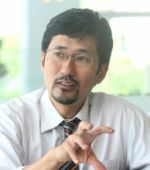 Hence, the third reading of the Strata Management Bill 2012 on Monday is crucial, says Assoc-Prof Ting Kien Hwa, head of Centre for Real Estate Research at Universiti Teknologi Mara. “Currently, property management is part of a service provided by valuers, who are regulated by the Board of Valuers, Appraisers and Estate Agents. The work of valuers can be broadly divided into three areas property management, valuation work and real estate agency work. This means that property management is a regulated profession and delinquents risk having their licence suspended. For the last five to six years, managing stratified properties has become an issue, he says. As more of us live in gated and guarded developments, and high rise condominium and serviced apartments, property management is evolving to become a lucrative industry. Ting says the Board of Valuers is in the process of creating a third register to accommodate property managers. Valuers and real estate agents are governed by two registers and the Board of Valuers are working on creating a third one for property managers. Ting says the duty and responsibilities of property managers go beyond just collecting money and managing a property. The word “managing” covers a whole gamut of expertise and responsibilities. These include insurance valuation, the appropriate rate of service charges to levy on owners, managing service providers like security guards and cleaners, gardeners and managing tenants and rental rates among other duties. Depending on whether it is a residential or commercial property, some issues may overlap. To claim that valuers want to monopolise the property management industry is incorrect, Ting says. “Some parties say they want to liberalise' the profession. Just as engineers and architects are regulated by the Institute of Engineers and Pertubuhan Akitek Malaysia respectively, so property managers are regulated by the Board of Valuers because property management is part of the work of valuers. This is the situation in the United States, Britain and Australia. Shall we then liberalise' the achitecture and engineering profession by allowing more people who are untrained to practise as architects and engineers because architects and engineers are monopolising' the industry?” Ting asks. Ting says this argument to liberalise the profession and cut out the monopoly does not hold water at all. He says there are currently 8,000 trained property managers in the country and every year, 450 more graduates enter the job market. The local public universities provided courses in property management in the late 1960s because they knew there would be a need for this. Malaysian Institute of Professional Property Managers president Ishak Ismail says: “The Government was visionary enough to foresee a time when stratified housing will become part of the Malaysian property landscape. The first condominium was Desa Kuda Lari in the KLCC area. Ishak said over and above the various issues that fall under property management, two sets of skills are needed the hard skills in managing the property and the soft skills in people management. He says there is a need to put in the proper regulations to regulate property managers in order to improve the value of our property assets. There must be no conflict of interest because it involves public money, be it house owners or tenants of commercial properties, he says. SHAH ALAM: SP Setia Bhd will kick off the worldwide launch for the first phase of its Battersea Power Station project in January next year, said its top executive. "It will be a worldwide launch stretching over a six-month period," SP Setia president and chief executive officer Tan Sri Liew Kee Si told pressmen after the company's extraordinary general meeting here yesterday. The launch series of the iconic development project in London would start in Malaysia followed by Singapore, Hong Kong, Brunei and Indonesia. It would then move to Europe and possibly to the Middle East before returning to Kuala Lumpur once again. The project's show village and office overlooking the River Thames would be ready by April 2013. The first phase will consist of 800 apartments above a commercial podium with an estimated gross development value (GDV) of STG1 billion (RM5 billion). The ground-breaking ceremony for the project is expected to be between July to September next year. 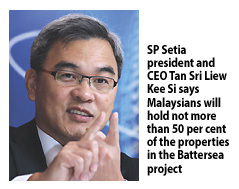 Liew expects a strong take-up rate, given SP Setia's pool of Malaysian and international buyers. He said the Battersea development will be projected as an international enclave to ensure value appreciation. According to him, Malaysians would hold not more than 50 per cent of the properties in the project. "It would not be a kampung Malaysia," he said. Yesterday, shareholders approved the company's plans to pursue equity funding with a proposed placement of new shares of up to 15 per cent of its share capital to institutional investors, which will be identified via a book-building exercise. The company could potentially raise about RM1 billion from the placement of new shares. Liew said the proposed placement would enable the company to raise the necessary funds to part-finance the Battersea Power Station project, as well as be used to fund the development of St Kilda project in Melbourne and the Qinzhou Industrial Park in China. He also revealed that the company would decide in two months whether to undertake an employees share option scheme or Long Tern Incentive Plan. KUALA LUMPUR: Builder Zelan Bhd's share price fell by as much as 8.9 per cent a day after it said its contract in the UAE for a RM771 million property project was terminated. The shares, which sunk to an intra-day low of 30.5 sen, closed 2 sen or six per cent lower than the previous day to 31.5 sen.
Zelan on Thursday said the owner of its Meena Plaza mixed development project in Abu Dhabi - Meena Holdings LLC - had given it 14 days' notice of its plan to end the contract via a letter on November 21. Zelan, which had secured the project in 2008, is taking legal action to challenge the termination. Zelan, which has been leveraging successfully on its ability to work as a consortium partner to other international players, also has a significant presence in the infrastructure construction sector in the Gulf region. 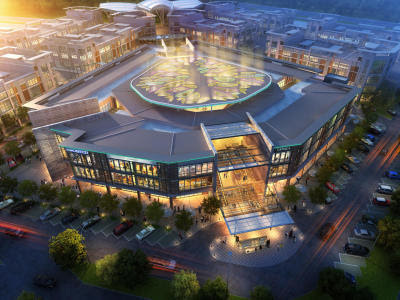 The Meena Plaza was to be the third building construction project for Zelan in the region.